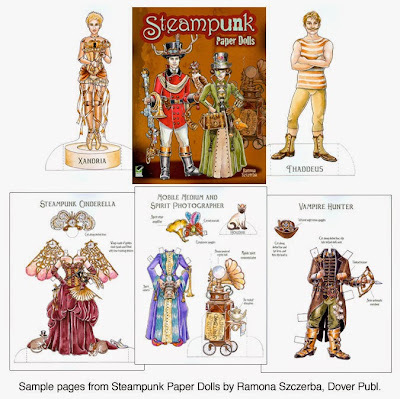 These Steampunk paper dolls are by Dover. 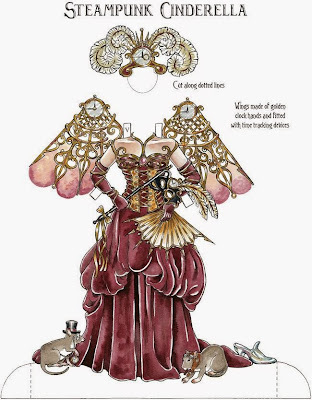 Here's a closeup of the Steampunk Cinderella costume. 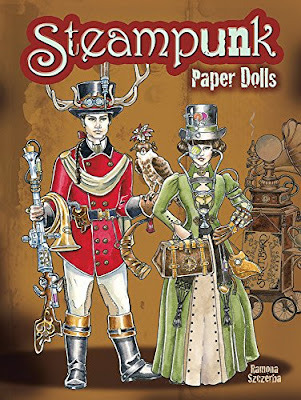 These steampunk paper dolls are also available on eBay.